Dental fear is a hidden phobia, like many people, you may be embarrassed to admit your fears and even more afraid to confront them. Often times not even your loved ones are aware of your apprehension. 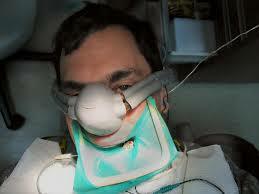 Worse yet, you may have never known that sedation dentistry was an option. 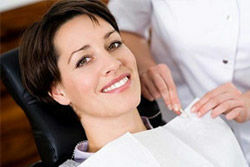 Once you’ve experienced Sedation Dentistry, you’ll never be afraid to go to the dentist again. You’ll be sedated just enough to be Relaxed, Comfortable and still in Control. When you’re ready, you can schedule a time that works for you. We gather information regarding your health and discuss with you your wants and desires. If you’re comfortable, we’ll take x-rays and look in your mouth. But you will never be judged or embarrassed. Knowledge about oral sedation treatment is not only powerful—it is empowering. It is important to talk to your dentist about your fears and concerns during your consultation before any dentistry is ever performed. Request information on your dentist’s training, credentials, and the protocols they will use prior to the appointment. It is critical that you provide your dentist with an updated health history including any medications you are on, including vitamins and supplements. Factors like smoking and alcohol consumption can alter the effectiveness of sedation medications, so be sure to tell your doctor about any habits you may have. Even something as seemingly insignificant as drinking grapefruit juice can have an effect on sedation. The enzymes in grapefruit interfere with the systems that metabolize (break down) certain oral sedation medications in your body, so you should not consume grapefruit 72 hours prior to or immediately after a sedation procedure. We’ll give you a prescription for a sedative to take the night before your first appointment to guarantee a good night’s sleep and to make sure you wake up relaxed. Appropriately trained dentists can perform a variety of protocols customized to your particular physiological and pharmacological needs. The medications are safe and have been used for decades. In fact, you’ve probably seen or heard some of their names before. Several have amnesic properties, meaning that you remember little to nothing of your time in the dental chair. Sometimes referred to as “comfort dentistry” or “relaxation dentistry,” it describes the feeling most patients have at their appointment. While these methods and medications cannot make fear magically disappear, they can give you the confidence and peace-of-mind to experience dental procedures in a whole new way. Hours pass like mere minutes and more dentistry can be performed in a single visit because the dentist is able to work more efficiently. 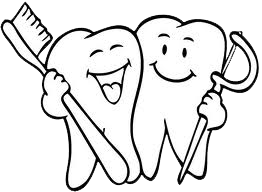 It is a win-win for both you and your dentist. In addition to providing your sedation dentist with a complete health history, you will need to choose a companion to drive you to and from your sedation appointment. You should not eat or drink six hours prior to your appointment unless otherwise directed by your dentist. Your health history can effect your before and after care plans, especially for diabetics and smokers, so make sure your dentist knows about any medical conditions your may have. For longer appointments, the remainder of the day should be taken off. For shorter appointments, only half a day may be necessary. Be sure to stay hydrated and drink lots of fluids. You should not drive or operate heavy machinery for 24 hours.